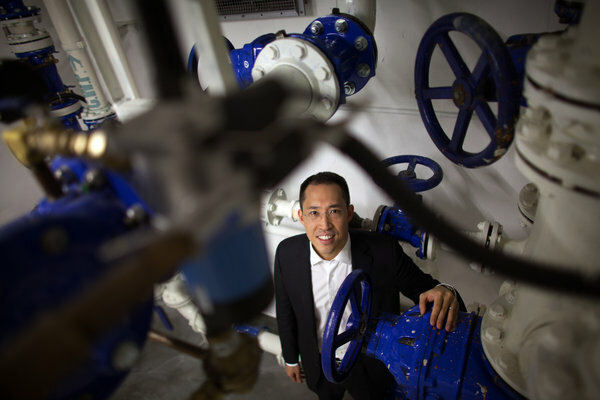 Daryl Ng in the water meter room of a Kowloon shopping mall, where a hydrogeneration system is being tested. HONG KONG (The New York Times) – Daryl Ng was taking a long shower, as he does every morning. And his wife, as she does every morning, scolded him for needlessly using so much water.